What happened to all of that “stuff” in Roanoke, Virginia? Have you been wondering how offices and buildings throughout Roanoke, Salem and the New River Valley have managed to become clutter-free over the years? Consider the mystery solved! Nearly every industry in the area has partnered with Patterson Pope and are now using our mobile shelving and high density storage solutions for their specific purposes. We understand that storing and finding important information is key to a successful business in Roanoke. 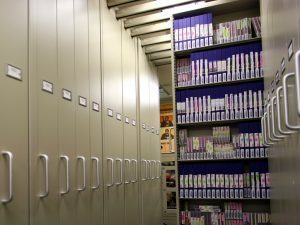 Our high density storage units take care of the bulky files, boxes, books, binders and other stuff that often make your office look cluttered while keeping it all accessible to you at all times. 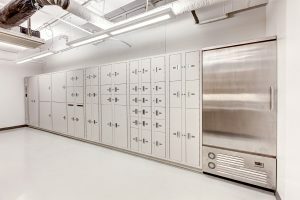 Our customers who work in large industrial buildings depend on our steel lockers and cabinets to keep certain items safe. 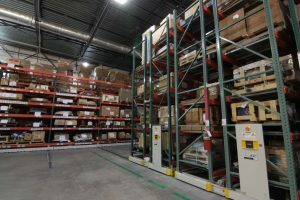 They also value our automated retrieval systems that are able to take advantage of high ceilings and bring your tools, SKUs and small parts right to you. 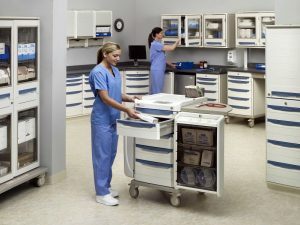 Organized storage is critical for hospitals and doctors’ offices. 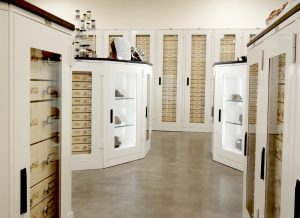 We provide high-density storage, stainless steel storage, mobile shelving and modular casework that is customized for the unique storage methods needed for medical equipment, patient supplies, charts and medications. 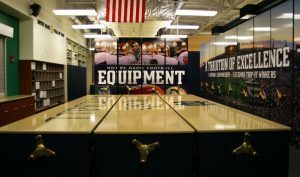 Athletic equipment is extremely valuable, and it is often so bulky that it takes up a bunch of space. That is why athletic facilities in Roanoke look to mobile shelving, modular drawer cabinets and locker units for uniforms, gear, balls, bats, cleats, etc. Our cabinets, shelving, vertical carousels and lockers come in many different sizes and designs. We are able to meet the needs of any educational setting, whether it’s a biology lab or a university office. 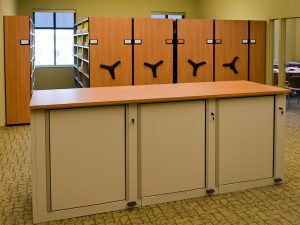 Books, journals and computer equipment remain organized and secure with our customized units. 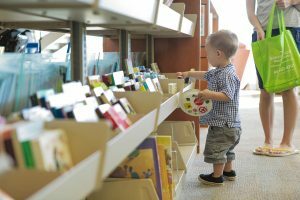 Libraries across Roanoke are depending on us for cantilever library shelving for books and magazines, and media storage cabinets for tapes, CDs and other types of media. 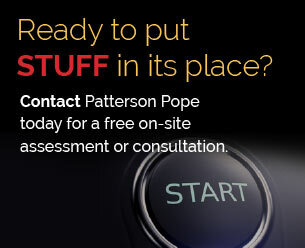 We all know that the paperwork in government buildings is endless, but you wouldn’t think that if you stepped into a government office that has a high density storage system from Patterson Pope! We make sure that your priceless artifacts remain safe with our museum cabinets. Our wide-span shelving and flat files are also popular with museums throughout Roanoke. 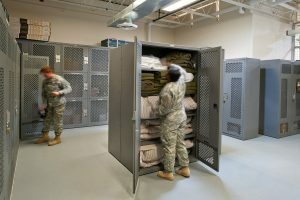 The military keeps us safe, so the very least we can do is offer customized storage units built specifically for military weapons, optics and gear. Law enforcement officials are always on the move. It’s a good thing they have Patterson Pope storage units that keep their gear, weapons and the evidence they collect safe and secure while they are busy saving the day! Our team at Patterson Pope proudly provides mobile shelving and high-density storage solutions to the greater Roanoke area, including Salem, Charlottesville, Blacksburg, Lynchburg, Christiansburg, Harrisonburg, Bristol, and other surrounding regions.